His Excellency the Governor Augustus J. U. Jaspert officially handed over the keys to the clinic to Minister for Health and Social Development Honourable Ronnie W. Skelton on Tuesday, November 13. 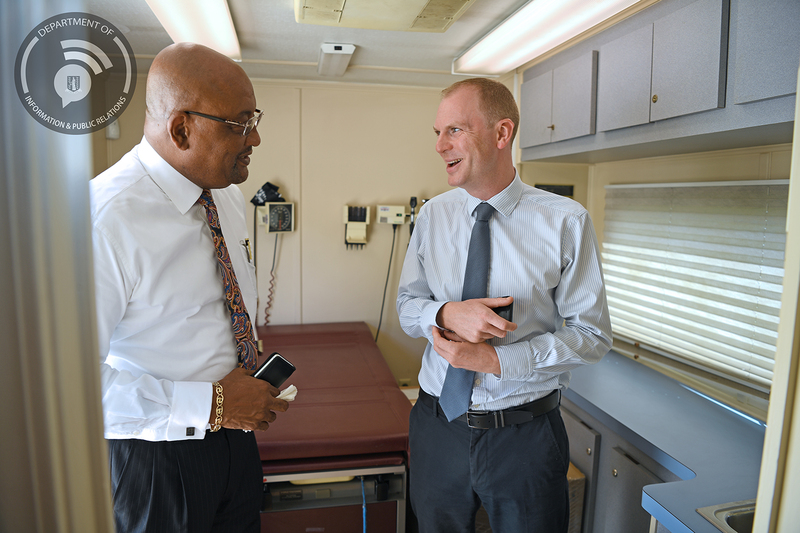 Governor Jaspert said he was very pleased that the strong partnership between the UK and the BVI continues and was delighted to present the fully equipped mobile clinic which will provide a huge benefit in the community. 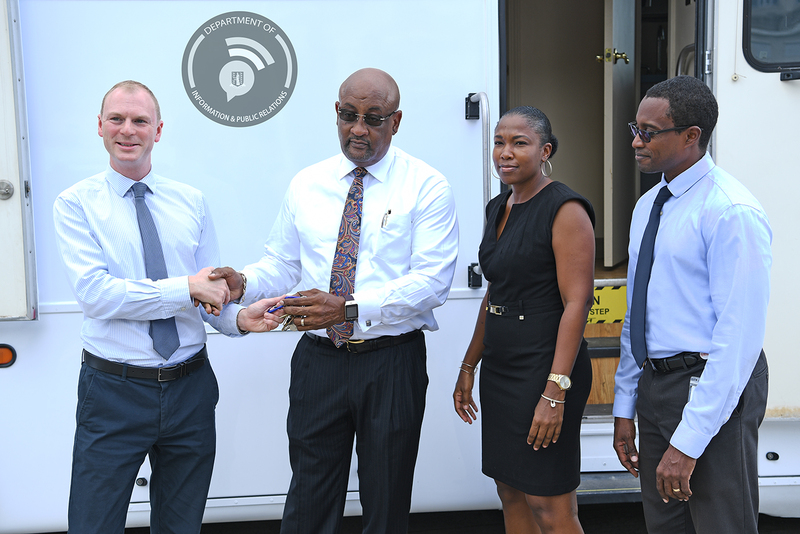 On receiving the keys, Chairman of the Authority’s Board Mrs. Ayana Liburd said the addition of the mobile clinic will help to deliver services to those community clinics damaged in the hurricane. Newly appointed Chief Executive Officer of the Health Services Authority Dr. Ronald Georges thanked Governor Jaspert for the much needed gift and said that it will not only be used in disasters but at normal times as it will augment the services offered by the BVIHSA for their community health services. The clinic was identified as a requirement to enhance healthcare following consultation between the Ministry and Public Health England (PHE) which undertook a population health needs assessment immediately following the hurricanes. It is expected to support dynamic responsive healthcare after health facilities were damaged in the 2017 storms. It also provides an opportunity to develop new models of integrated primary healthcare in areas outside of Road Town, ensuring better equity of access for key services. 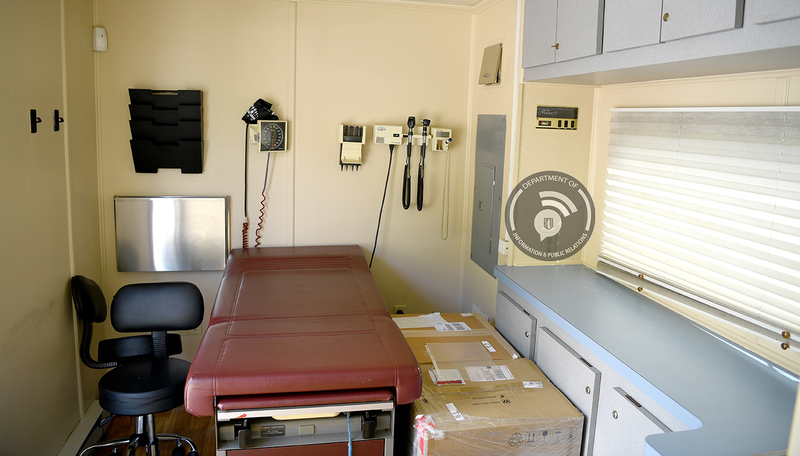 The vehicle will be equipped with medical equipment required to provide these services. This project complements a wider programme of work Public Health England is undertaking with the Overseas Territories with UK funding to provide professional support in response to the hurricanes of last year. 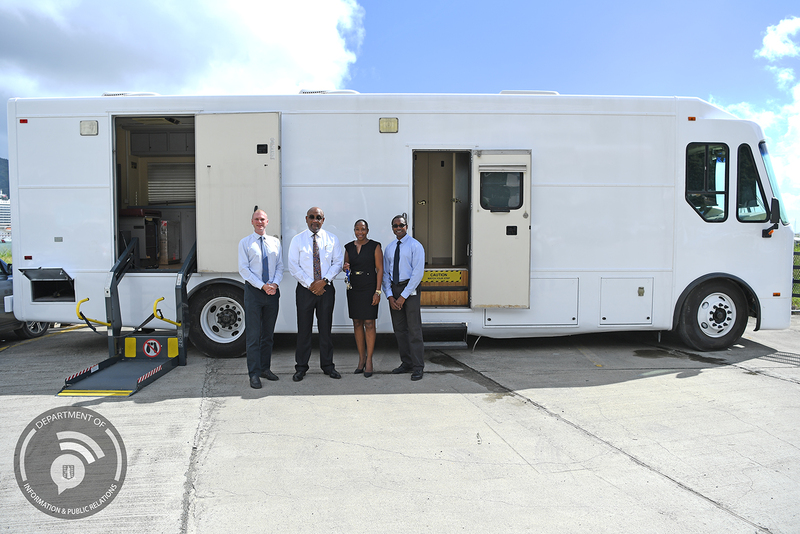 Further equipment and a truck for mobile fogging have also been supplied to help combat vector borne diseases. Other areas address issues such as the Framework for the Convention on Tobacco Control, Mental Health, Obesity and Disaster Resilience.